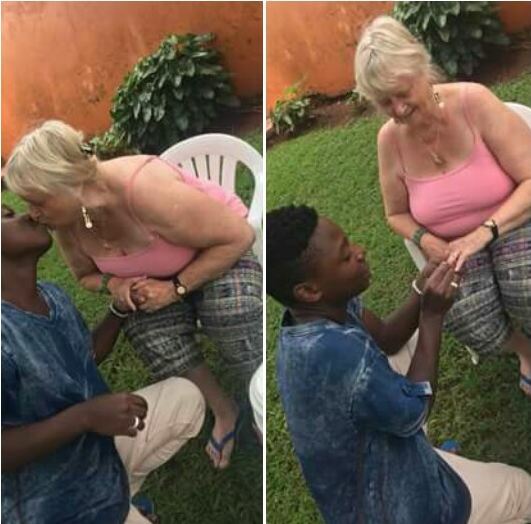 Some months after she dumped another Ugandan singer, a 71-year-old Swedish woman by the name of Monalisa Larson is reportedly engaged to a 19-year-old boyfriend, Aziz Mawanda who is also a musician. 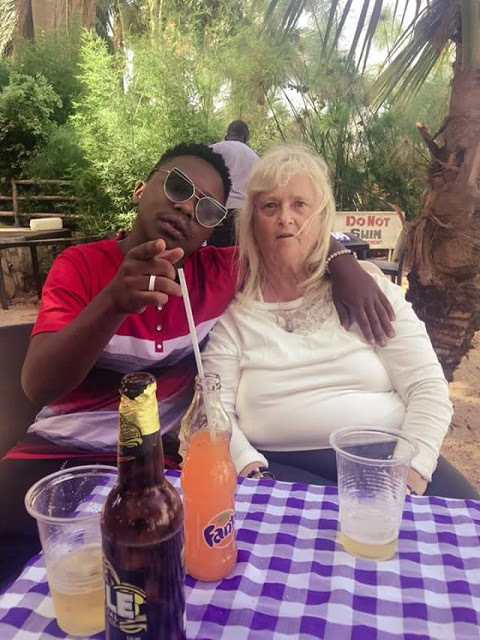 According to local Ugandan media, last year Monalisa dumped another young singer, Guvnor Ace after she claimed he wanted to impoverish her. 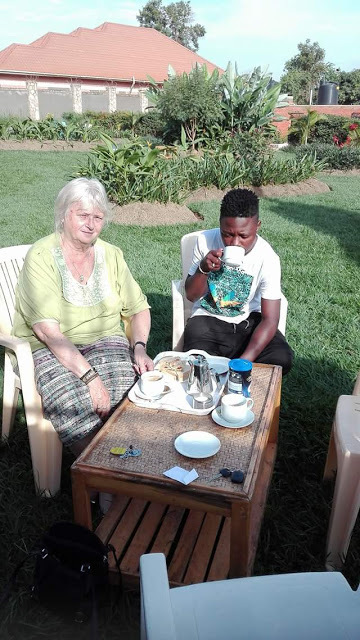 After sometime, she got herself another young Ugandan singer who goes by the name of Azizi Mawanda a.k.a Azizi Magically on Facebook. On Saturday, the young singer posted some photos on his Facebook page writing “She said “YES”, indicating that Monalisa has finally accepted him for marriage. 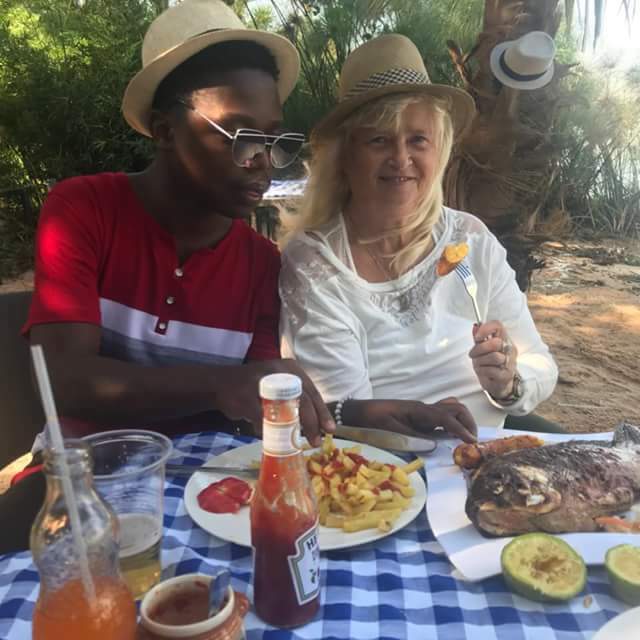 Monalisa made headlines in 2015 when she started dating and later married then-28-year-old Guvnor Ace in a private wedding ceremony in Kampala. 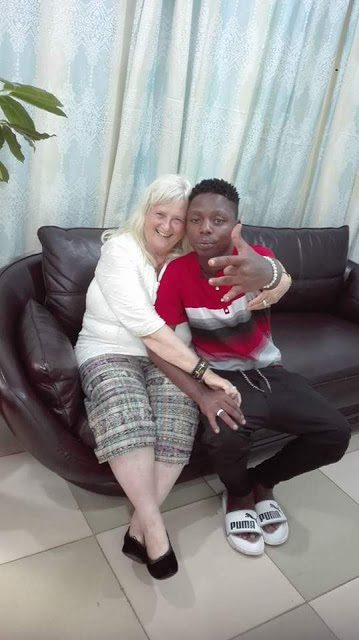 The marriage didn’t last as the 28-year-old musician was said to have dumped her after he allegedly used her to get to Europe. She claimed that Guvnor was after her money and was not genuinely in love with her as he always said.